Composer and sound artist Michael Reiley McDermott has a sustained interest in meditation, Deep Listening and the effect sound can have on the unconscious mind. He has composed several suites of music intended to be listened to while sleeping including 2014’s eight-hour long album Quiescent. 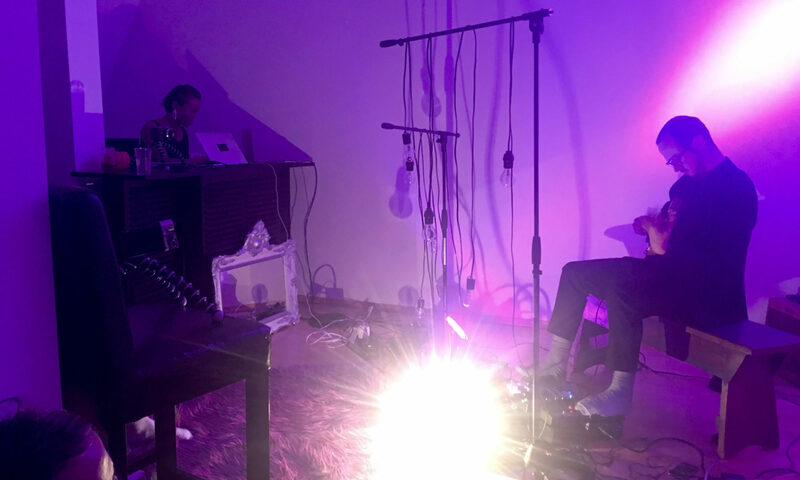 As a concert experience these durational soundscape performances are an immersive, supportive sonic environment. A gentle sea of ambient field recordings and soft tones unfold over an evolving eight-hour concert. Themes of rebirth, Bardo states, stillness, the liminal space between sleeping-waking-dreaming-listening, processed environmental sounds and the edges of audibility are explored during these concerts. Morning will bring refreshments, and an opportunity to talk about the night’s experiences. Bring a pillow and sleeping bag – we will have soft places all around the concert space, and there will be couches, futons and floor pillows available, first come, first served. We do have 3 cats in the space, so those who are terribly allergic be forewarned; those who love cats may cuddle with them at kitty discretion. SPACES ARE STRICTLY LIMITED – please reserve early to ensure your space – this is an event you don’t want to miss!